A basic single-pane mask designed to maximize comfort and field of vision. 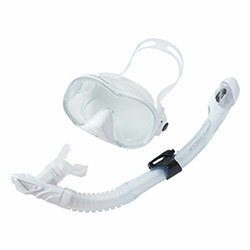 This high quality mask can be used for snorkeling, skin diving, and SCUBA diving. A piston dry system offers a clean look combined with 100% dry performance. 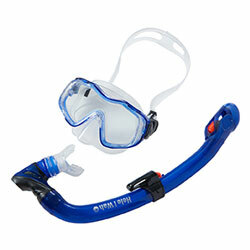 Enjoy the ease and comfort of a snorkel that stays completely dry.